October 22, 2016. The wedding images taken at The Cielo Blu Barn in Fellsmere, Florida. Here a romantic wedding images captured in infrared as our country themed wedding couple strolled the expansive property at Cielo Blu. 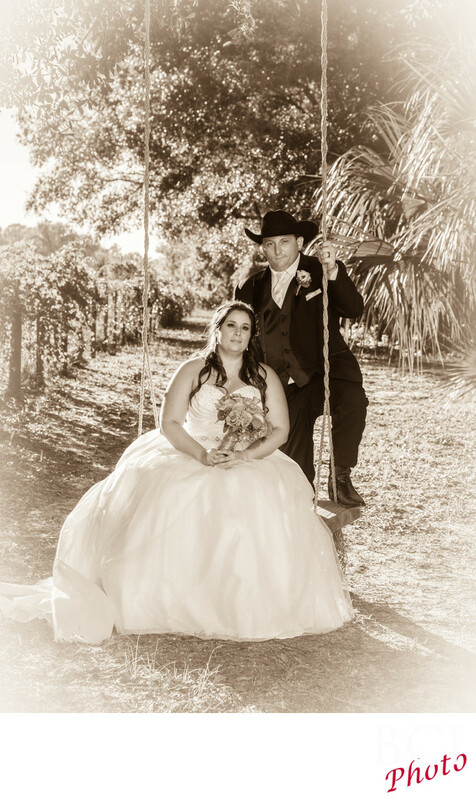 The ever popular swing, is a must stop location, and our couple took advantage as well. We selected to show this image in monochrome of the chocolate flavor for that old timey feel that went along with their country theme perfectly. Of course we actually sublimely lit the couple so their faces would no longer be in shadow from teh sun shining from behind.